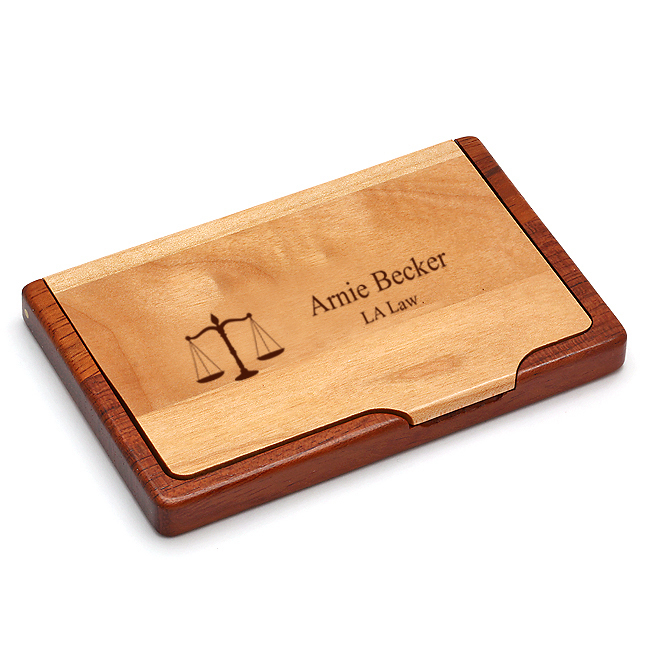 This wood business card holder is made specifically for lawyers, judges and other legal professionals. 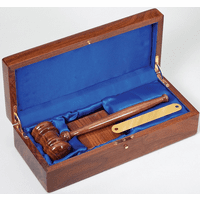 It comes with the legal scales emblem laser engraved on the front. To the right of the emblem, you'll add your own custom personalization by checking the Personalize It box above. 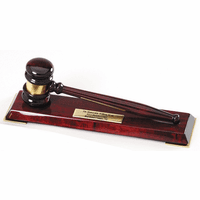 Some popular engraving choices include a name and law firm or a name and job title. 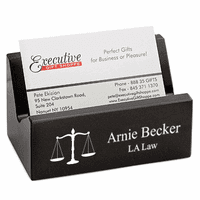 This card holder for legal professionals can be used as both a desktop holder and a pocket holder. 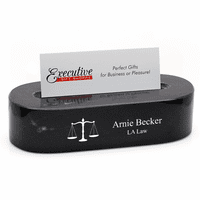 It closes fully to slide comfortably into your suit pocket or pocket book, it props up to display your business cards on a desktop or counter top. If I purchase more than 1 do I pay shipping fees on each item separately? No, just add the first one to the shopping cart, then hit the Keep Shopping button. Then, you can add the next one. Repeat this until all the items you need are in the shipping cart. Then you can check out and ship them all together.